Even though it's not cold in Florida yet, it's not in the 90's so that means it's oatmeal time! 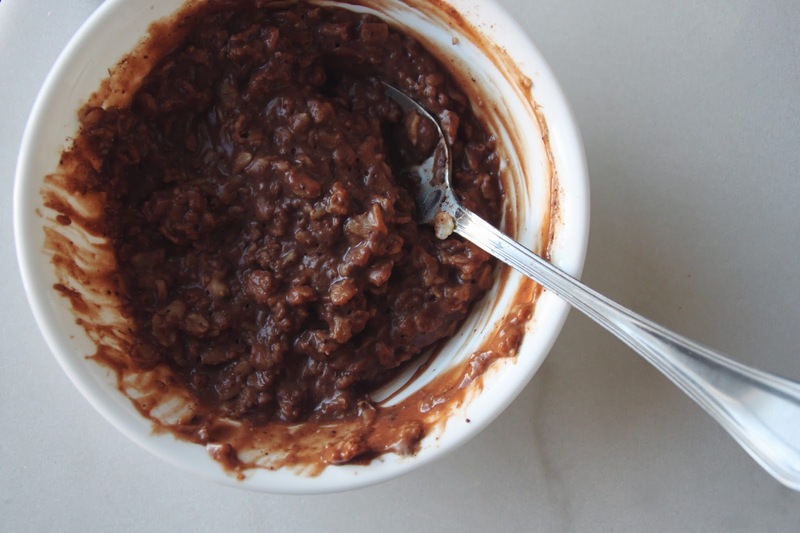 These oats are so chocolatey good. They're extra creamy if you use homemade almond milk, which I've recently started making. 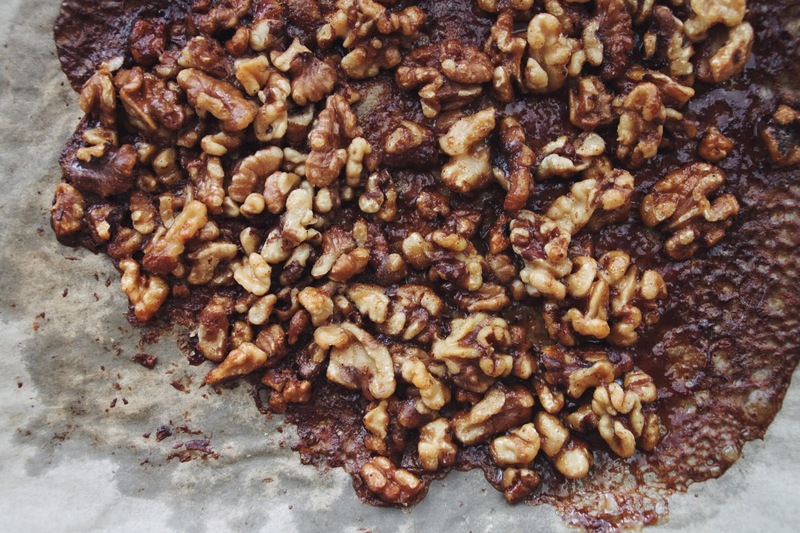 The walnuts are definitely addicting. I've been putting them on everything, especially salads. This recipe will make enough to have plenty extra for doing that! 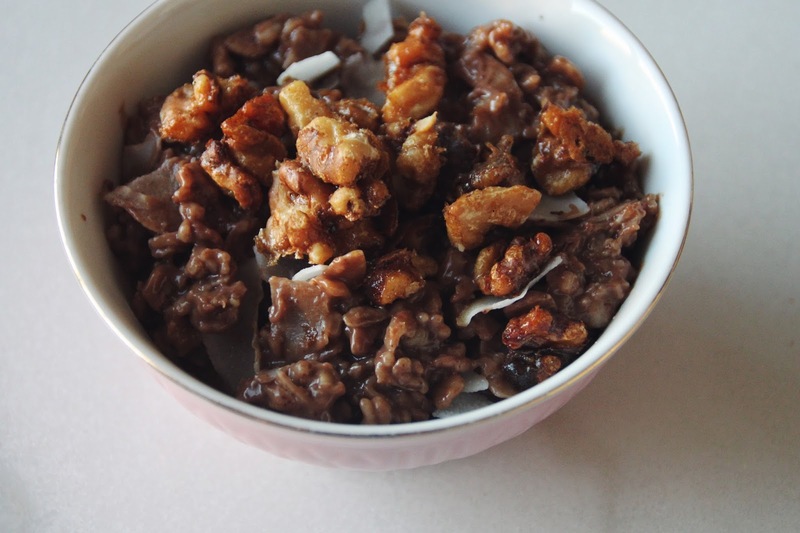 Heat oven to 375 F. Mix all walnut ingredients in a bowl. Spread the mixture out on a pan lined with parchment paper. Cook for about 12 minutes or until it's browned and bubbling. Let it cool on the pan for a few minutes. Work on the oats while the walnuts are cooking. 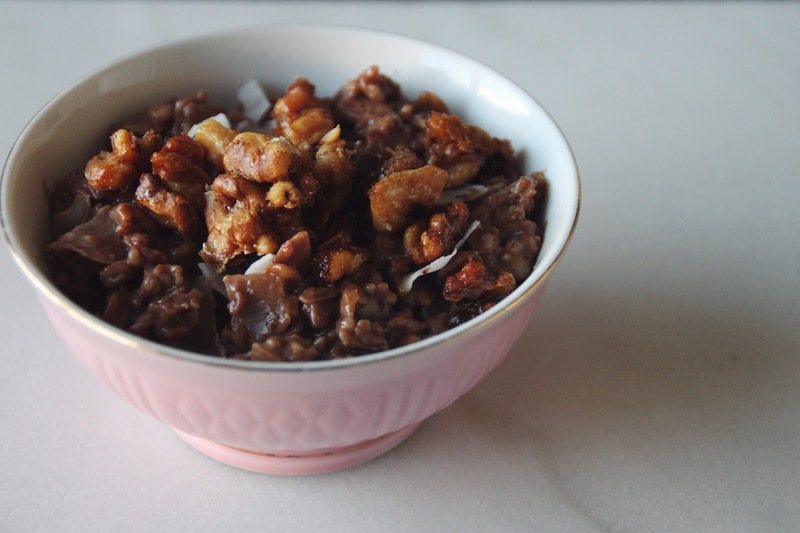 Combine oats, almond milk, and salt and cook either in the microwave or stove top. I cook mine in the microwave in 1 minute increments, and it usually takes from 3-4 minutes. Then add the cacao powder, maple syrup, and coconut flakes.